That's why I said "with fillet gloves". The 5 minutes of constant noise got a little annoying though! Exactly that is why i use the friction instead of the clicker. Hello Doug, welcome onboard ! RE: Aforementioned break-away mentioned by Capt. Fred. The best example of using the mono break-away that I know is by Nicj Stanczk in Isla Morada. We do a sacrificial drop which is a slow current tactic and very different for different application. Yup, I've done the free spool thing too with golves on and it works fine. When I started out experimenting with deep dropping, I was using a 12/0 Senator. The clicker on that thing was the perfect amount of friction for a 10 lb weight when in freespool. The 5 minutes of constant noise got a little annoying though! Yes, very noisy with a couple dropping at the same time. Love the silence of the Electramate Brute 2000 though. OK, time for another question. 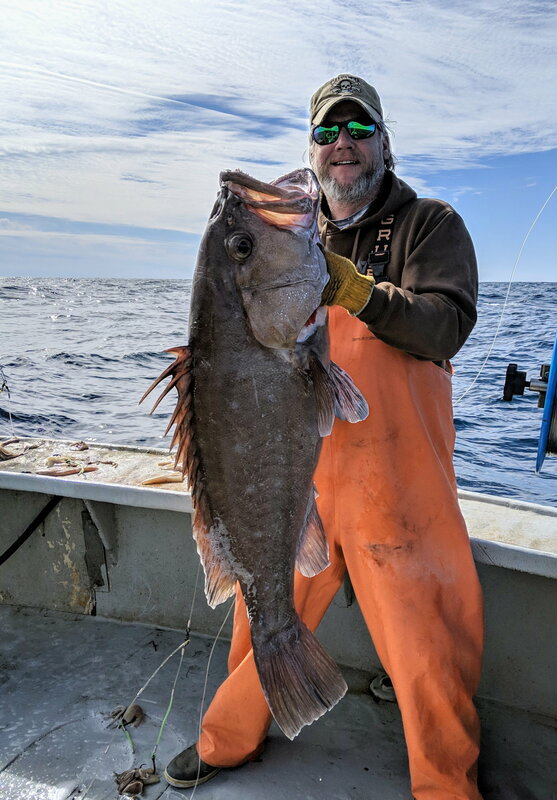 For those of you who have caught critters other than blue line tilefish. When you find an area that produces snowys, goldens, or black bellies, etc. ; are you marking anything other than bottom on your machines? Snowys I can see on bottom. I'm ideally looking for a triangle of fish, close to the bottom and usually on a ledge. Most of the time, they will be on the top 3rd of the ledge where there is harder bottom. 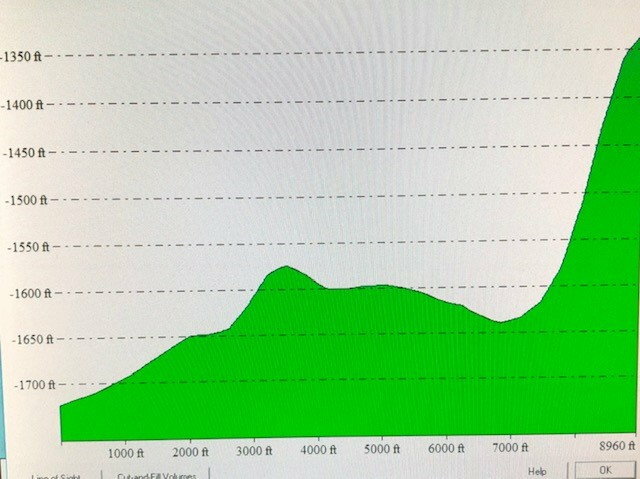 For Goldens, I was told that a thin line (green on the Furuno I learned on, and on a Garmin, but not sure if either are the default color palette) above the mud bottom meant there were tiles stirring up the mud. I've seen it and caught them when it showed. Not sure how it would look on some other GPS models. Rose fish tend to lay on the bottom in small depressions. When the Okeanos Explorer was off our coast last year, I watched the live feed several days. There were a LOT of Rose fish shown on the feed at nearly all depths below 100+ fathoms, and nearly all would be laying on the bottom waiting for something to float/swim by. I would suspect due to their small size and the fact that they essentially are filling in the depression, they would be very hard to determine on the bottom with sonar. I usually consider them tasty by-catch. I guess what I am wondering is do I need to prospect in likely areas by just dropping a bait down, or is it smarter to troll an area while watching the sounder? Are there other signs of life you've noticed that would indicate someone being home way down below? For example, in the trips I did out of Oregon Inlet last year, we definitely had more bites when the pilot whales were in the area. Their main prey is squid, so that makes perfect sense. Of course I have some good spots of known areas for specific species, but I find a lot of good bottom spots while trolling around out deep. I am constantly marking spots when I am trolling that look promising. .I think there are many times when you find good fish in an area while trolling, there will be good structure/fish on the bottom as well, and vice versa. Great stuff, thanks! Watching that little ROV last year was addictive! Thanks. I had completely forgotten about that video. Hopped on a commercial boat this morning. 3-4 knots of current nearly everywhere in the deep today. Was a little choppy this morning, but laid down nice after lunch. Tried for a Golden, but just too much current. Came in to 100-140 fathoms and there was a little less current. Found a few Snowys and Blueline Tiles. Biggest of the day was 46 pounds. Headed back out in the morning! SEARAT36, offshore3144, cummins28 and 2 others like this. Wanted to follow up a bit much like SHOOLSOUT1 did in previous post for locating and seeing a potential area to fish. Much of what we did was on shore with software. We would spend considerable time looking for areas that satisfied certain variables. Then, in that software, we would look at 3D imagery which we could manipulate 360 degrees and emphasize certain aspects of interest. Additionally, as previously mentioned, we would also develop slope charts for certain species/areas and hone in on the unique characteristics of that spot, ie deeper and higher degree slope in parts of a given area. The slope chart will give depth, distance and degrees of slope. 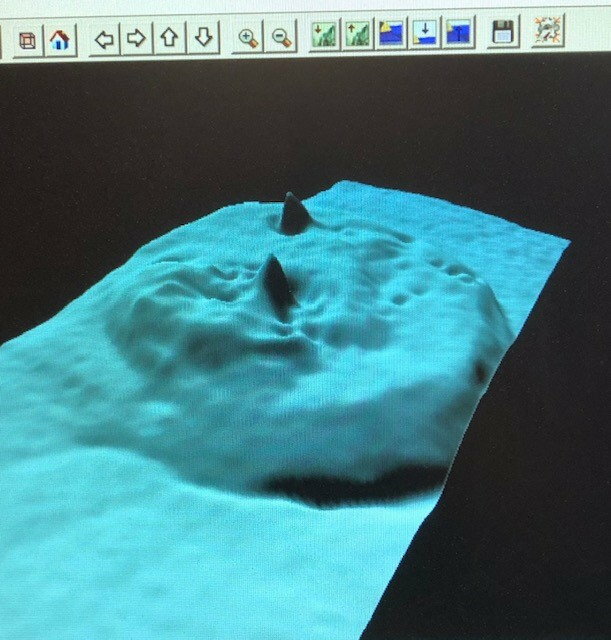 Finally, we would navigate to those lon/lat areas on the boat and analyze "in depth" with the sonar. If we liked the spot we would further create our own contours (more accurate). We did that by doing grids. Bottom line is we would go to the coordinates, further review the sonar/bottom density where applicable , mark coordinates and develop either fish-able waypoints or drift routes. Below are a just a couple rough examples from the software. TexasBlue- You say "Finally, we would navigate to those lon/lat areas on the boat and analyze "in depth" with the sonar. If we liked the spot we would further create our own contours.."
Where you say "If we liked the spot" can you describe the things that would make you like what you were seeing on your sonar? ...Where you say "If we liked the spot" can you describe the things that would make you like what you were seeing on your sonar? First kind of a basic one. Let's say we are looking for a few sword spots we thought had potential and those spots showed a promising ravine or deep ridge off of a mound. 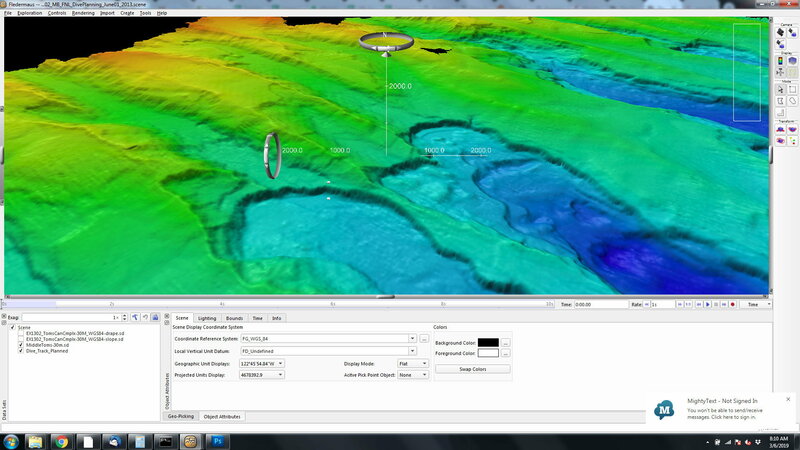 We would confirm the depth and the contour to what we saw on the software. We would literally take the time to slow boat the coordinates and see, for example, if the ravine really had a deeper and narrower section to it that was unique as we hoped. Certainly, signs of bait always helps. An in depth one for swords that was really fun was maybe identifying a couple of holes in and around a generally good sword spot. We would live-eye those holes and validate the size and structure. The goal was literally to drop baits in the holes (remember slow current here). A more obvious one would be for Tiles, where we would validate depth and contour and then evaluate the area and make sure we were in MUDVILLE. We fined tuned our settings to know the array of density in given areas. Best example might be looking for deep grouper or barrel fish and, again, confirming the depth and contour but also hardness, rocks and in most cases absolutely seeing the fish. In essence, we would confirm what we saw in general in the software. Sorry to repeat but, again, we would literally take the time to grid the area and make way points official. Luck never ruled with us. Someone else always had the luck. We would spend a ton of time gathering info and looking, gridding and mapping. It was always a challenge to us to fnd the spots that werent normally getting hammered by the masses. We actually spent some days just doing obsessive recon as painful as it may have been. Hope I made sense of that? You made great sense of that! Thanks so much for all that information. I have often said "One of these days, I am going to go out there and do nothing but recon." I've never managed to pull it off LOL. But I KNOW I should. I think the only way I could actually do it would be to leave all the rods and baits at home to force myself to just look, and look, and look in an organized fashion. I really want to try and catch a golden tile. If anyone is headed out and has experience doing this and would not mind a tag along, please let me know. You'd be welcome with me, but I am going out of Oregon Inlet mostly, sometimes Hatteras Inlet. That's a looooong ways around for you. you going Friday? I think I’m going. Hadn’t decided which inlet yet. Sorry for the late response. Nope can't go. My wife fainted a week or so ago and badly broke her wrist. When EMS got here her blood pressure was 80/40!! She got surgery on it this past Wednesday that appears to have gone well. I am staying close for a few days to make sure things are OK. It looks like the cause of the super low BP was dehydration and pneumonia so hopefully once her wrist gets back to strength, we won't have more to worry about.